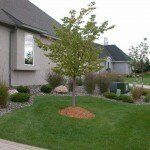 Landscaping, especially with trees provide benefits that far exceed the costs of planting and care over their lifetime. Environmental and aesthetic benefits, such as energy savings, stormwater runoff reduction, cleaner air, and higher property values, are consistently many times greater than tree care costs. The average family is always looking for a solid investment. Stocks? Bonds? Gold? Don’t overlook an easy way to get more from your money – trees. 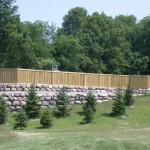 The value of a tree in your yard can improve your property value more than you may think. The Arbor Day Foundation cites some of the following effects of trees on property values. Trees produce benefits for us when we plant and nurture them in our urban environments. The Urban Ecosystems and Social Dynamics Program at the USDA Forest Service Pacific Southwest Research Station has assessed the many ways that trees pay us back and their value to us. Properly cared for, trees are valuable and growing assets worth over two and a half times the investment. A large tree in the Midwest will provide $3,790 in environmental and other benefits over its lifetime. That’s over a 250-percent return on investment! Not too bad hey? Minneapolis, Minnesota, is the reference city for the i-Tree Streets program’s Midwest climate region. Base data were collected there during the summer of 2004. The greatest benefits are energy savings from cooling and higher property values. I’m sure when you are thinking about your lawn and landscaping you aren’t thinking about all of this bit I’m just sayin…. Never underestimate the value of a tree in your yard! It is important to remember that proper tree care starts when you select a tree and that what you do to your tree in its first few years of life will affect its shape, strength, and even its life span. The key for a tree to survive long enough to reach maturity is to give it a healthy head start with a proper planting, trimming and pruning. Most trees die because they are not cared for correctly. 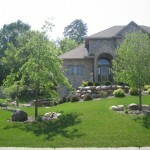 Contact a professional Minnesota landscaping company to provide you with a consultation and estimate for whatever your lawn, landscaping or tree care needs might be! From regularly scheduled mowing, edging, trimming and leaf raking to custom fertilization, aeration, weed and dandelion control, a professional can make your yard or grounds a picture of beauty. Discover the money you can save with the trees in your yard. That’s right. You can determine how much that sugar maple in your front yard provides you in annual benefits. And you don’t even need to do a lot of math in the process. All you need to do is use the National Tree Benefits Calculator, a computer model that is based on 25 years of research by the U.S. Forest Service and its partners (including Davey), and it’ll do all the work for you. The information provided on this page is taken from the Trees Pay Us Back brochure, produced by the U.S. Forest Service.